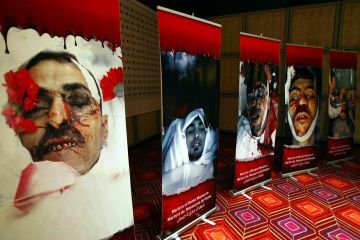 This is the so called “UN Human Rights Council” – A pathetic joke! The Ministry of Foreign Affairs approached the Red Cross and offered to send assistance to the Syrian people. Lieberman: “The Jewish nation cannot sit by and do nothing while citizens of our neighboring country are being slaughtered”. As the Syrian people flee Syria by the thousands and make their way to Lebanon, Israel’s foreign affairs minister Avigdor Lieberman announced that Israel is willing to send humanitarian assistance to the Syrian people. Under Lieberman’s orders, Evyatar Manor, CEO of international organizations in the Ministry of Foreign Affairs, approached the Red Cross and suggested that Israel will send the assistance. Red Cross representatives in Israel replied that they will examine the Syrian people’s needs and will inform Jerusalem with the requirements forth with. “the Jewish nation cannot sit by and do nothing while our neighbor country is being slaughtered and people are losing their world. We cannot interfere due to lack of diplomatic relations, but we will at least offer our hand with humanitarian assistance as it is our moral duty to awaken the world and stop the massacre”. Earlier this week official representatives of the UN’s High Commissioner for Refugees (UNHCR) reported that approximately 1,000 to 2,000 Syrian refugees fled Syria and are now making their way to Lebanon. The report is consistent with other reports that reached news agencies earlier this morning. According to which, refugees are fleeing Syria by foot from the town of Qusair that has been bombard under the orders of President Assad, the refugees mainly consist of women and children. 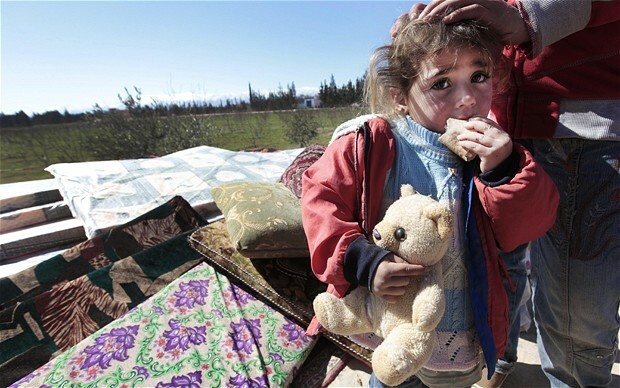 Eye witnesses report the shelling began suddenly and that they had to flee their homes immediately. 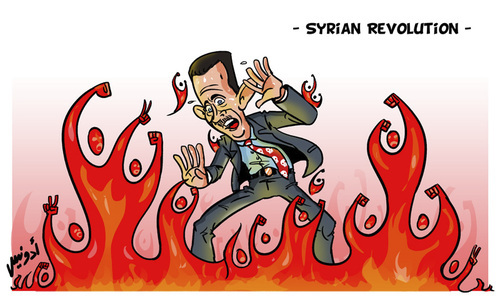 The Syrian army has been reported to bombard rebel camps all over Syria. The number of refugees is predicted to rise unless serious action will be taken to stop this genocide. Almost a full year after the violence and clashes in Syria began, things seem to be moving very slowly. 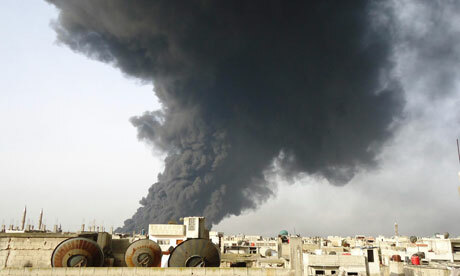 Again this week violence erupted in the region of Deraa, a city housing several rebel strongholds. This comes just a day after the country’s president Bashar Assad made an offer to hold a referendum about a new constitution, and bring new elections within 90 days. The offer drew a lot of criticism, and was rejected but by the rebel leaders and other countries. Meanwhile, it seems like the violence isn’t slowing down, and civilians remain trapped in the cross fire. Meanwhile on the ground, it’s hard to know exactly what goes on since Syria tightly restrict media access. The authorities there have no comments, but reports from another recent attack by the Syrian military against civilians in the region of Hama produced over 5 dead and 50 wounded within 36 hours due to heavy shelling and sniper fire. The military has been using artillery against the city for the 13th day in a row, attempting to drive out rebels. At the UN however, things seem to still be at a deadlock, with France arguing for a resolution that would call for humanitarian action, and Russia worried that the Security Council would call for a regime change, saying “If the plan is to use the Security Council and United Nations to adopt some language to help legitimize regime change, then I’m afraid international law does not allow this and we cannot support such an approach.” The Arab League wants a UN backed peacekeeper force on the ground, but that is also unlikely to happen until Russia and China change their minds. There’s no question that a human tragedy is happening on the ground in Syria, and while the government in power there kills civilians by the thousands, very little is done from other countries, who spend most of their times in arguments and discussions, with national interests often blocking any progress towards a resolution. Meanwhile, people will keep dying. Syria has been plunged into a civil war for many months now, with the latest casualty report being 68 dead amongst the latest clashes in various flash points around the country. Mostly civilians died this time, as is often the case, as the Syrian army and the rebel fighters battle an endless struggle. 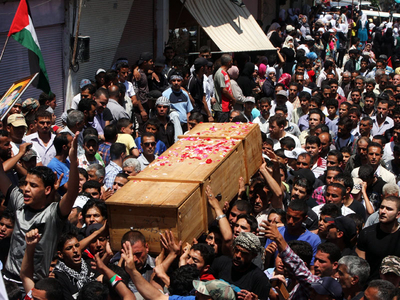 Wady Barada, a small town near Damascus, was severely hit, with 35 of the deaths being there. Activists on the ground say the casualty report could mount to 200 for the previous 3 days but numbers could not be verified. A local coalition called the Local Co-ordination Committees monitors the uprising and reports those figures to the media. Meanwhile, the world powers on Tuesday appealed to the UN to do something, but there’s disagreements. The US, England and France urged the UN Security Assembly on Tuesday to pass a tough resolution that would ask president Bashar al-Assad to stop the violence and hand over his power. Hillary Clinton spoke in behalf of the US to the UN council, saying “We all know that change is coming to Syria. Despite its ruthless tactics, the Assad regime’s reign of terror will end.” And it’s not just the western powers that called for Assad to resign. Sheikh Hamad bin Jassim Al Thani, Qatar’s prime minister, spoke in the name of the Arab League and said that Syria’s president failed to make a sincere effort to end the violence, and instead keeps killing his own people. It’s rare to see so many people asking for a similar action, however the vote will likely not be quick. Russia is a long time ally of the Assad regime and trades weapons with Syria. A Russian deputy said that they prefer a political solution, and a text must be agreed upon by all the members. He said there would thus be no vote in the coming days. Russia also said the Security Council has no right to ask for a rule change in Syria. The current draft resolution that so many UN members were hoping to vote on was introduced by the Arab League, and asks for a unity government through a transparent and free election. It also asks that there be no foreign military presence in Syria, like what happened in Libya. It also says that the Assad regime must ultimately hand over powers. Observers on the ground say that the chance for a peaceful resolution is practically nil, with the government relying more and more on violence to get its way. It’s difficult to know the total number of death in total, but France believes that number to be over 6,000 since the conflict began over 11 months ago. The UN Human Rights group said they had stopped counting since it had become so difficult to get information from the Syrian government. Overall, with the UN resolution blocked, and violence on the ground at an all time high, it’s likely that the death toll will keep going up for the foreseeable future. Even if a resolution were passed, there’s no enforcement power, and no military intervention planned, which means Syria would keep going the way it currently is. There’s little hope for the civilians currently stuck in the war zone. The IDF is preparing for a possible flood of Syrian refugees following the potential fall of President Bashar Assad, Chief of Staff Benny Gantz said Tuesday. 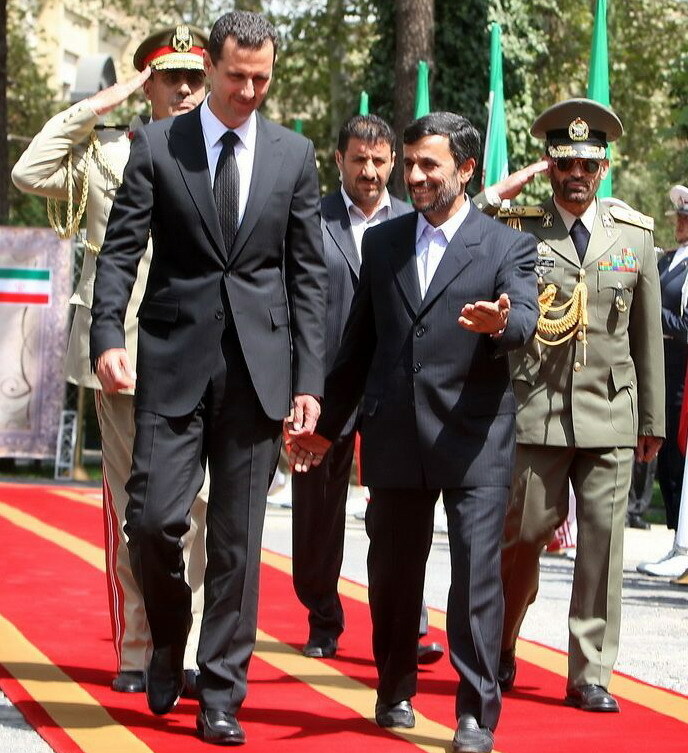 Speaking at the Knesset’s Defense and Foreign Affairs Committee, the army chief said that members of Assad’s Alawite sect are expected to seek shelter in Israel should the Syrian leader, an Alawite himself, be removed from power. Addressing other possible implications of the Syrian upheaval, the chief of staff added that Israel fears that weapons could make their way from Syria to Lebanon. “We must monitor the process,” Gantz said. “Speculation a recent air force exercise and rocket propulsion system test are linked to a debate on a strike against Iran is “nonsense,” an official said. Israel Radio quoted an anonymous Israeli defense official as saying Thursday it is “absolute nonsense” to presume a recent air force exercise with the Italian air force and the testing of a rocket propulsion system are linked to reports Israel is preparing for a possible airstrike on Iran’s nuclear sites. The official’s remarks come amid intensive public debate over reports Prime Minister Binyamin Netanyahu and Defense Minister Ehud Barak are pushing for a strike. The army’s Home Front command conducted a drill Thursday simulating missile attacks in the center of the country. Sirens also were tested. Will NATO Get Syrias About Assad? What Will It Mean For Iran? On Sunday Iran told NATO not to get any big ideas about invading Syria. The hypothetical situation, warned Iran, would be akin to NATO’s “quagmire” situation in Afghanistan and Iraq. According to the United Nations, 2,200 people have been killed since Assad sent in tanks and troops to crush demonstrations which erupted in March after the presidents of Egypt and Tunisia were toppled by popular protests. Israel is concerned that the Syrian military could transfer chemical weapons to terrorist organizations like Hezbollah or Hamas because of instability within Syria. 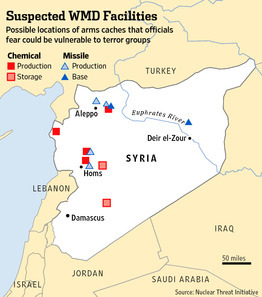 American intelligence agencies believe that Syria has large caches of chemical weapons. The United States considers Syria among largest distributors of weapons of mass destruction, along with North Korea and Iran, and accuses Syria of smuggling such weapons to the likes of Hezbollah and Hamas. Meanwhile, three Scud missiles flying between Iraq and Kuwait last Friday were launched by the Iran-backed Ketaeb Hezbollah of Iraq. These are the first such attacks since the US invaded Iraq in 2003. It also marks the first time that any Middle East terrorist group has used Scud missiles. The round was a warning for Kuwait to cease construction of the Grand Mubarak Port opposite the Iraqi shore. Earlier in August, Kuwait massed troops on Boubiyan Island opposite from Iraq to defend the $1.1b Grand Mubarak Port that is under construction there – an odd reaction to Iraq’s demand that Kuwait freeze construction of the Persian Gulf port until guarantees are provided the new facility will not be a hindrance to the operations of Iraq’s own planned harbor in the southern region of Basra. A government spokesman in Baghdad demanded reassurance that safe and free navigation will not be affected by the Kuwait port scheduled for completion in 2016. Persian Gulf. Until last Friday, there was no confirmation of the group’s claim to have recovered the majority of the 250 Scuds held by Saddam Hussein before the US invasion in 2003. Last week, Iraqi Hezbollah activities staged a demonstration against the port on the Iraqi-Kuwait border. Kuwait said it would show no tolerance for any border incursions whatsoever. Meanwhile, reports out of Washington indicate that the rebels of Libya’s National Transitional Council will recognize Israel diplomatically, and Israeli businessmen are already arriving in Libya to establish future business relations. This will represent a major shift in Libya’s foreign policy toward Israel and will provide the Jewish state with a much needed strategic ally among the Arab countries, since ousting of Egyptian President Hosni Mubarak. What happens when panicked Sunni Syrians trying to escape the Baath regime flee to Hezbollah-ruled Lebanon? What do you think! Lebanese security forces are rounding up Syrian refugees, namely from the border village of Tel Kalakh and sending them back to Syria where 800 citizens have been murdered by Bashir al-Assad in recent months. The refugees stuffed provisions into plastic shopping bags, their wounded on cheap synthetic blankets and crossed the shallow and muddy Kabir river, on foot, looking for medical aid and refuge from residents in the northern city of Tripoli. According to the New York Times, a reporter from Al Jazeera, Dorothy Parvaz, who disappeared in Syria two weeks ago was sent to Iran within two days of being detained. She is still in Iranian custody! Oy va voy! Some Syrians turned away at Turkish, Jordanian and Lebanese borders, are heading for Israel. Israel has increased troops deployed on the Syrian border at the intersection of the Israel-Syria-Jordan frontiers in the Har Dov area against the spate of tens of thousands of Syrian refugees. The UN force on the Golan Heights – UNDOF – is also strengthening their forces policing the Israeli-Syrian ceasefire lines. Despite their unwillingness to help their Sunni neighbors, the Shiite Hezbollah in Lebanon is actually gearing up to remove its heavy, long-range weapons out of storage in Syrian military facilities and transport them back to Lebanon. The Missile Corvettes’ unit is responsible for protecting Israel’s offshore natural gas fields, such as Leviathan and Tamar, against the Hezbollah. 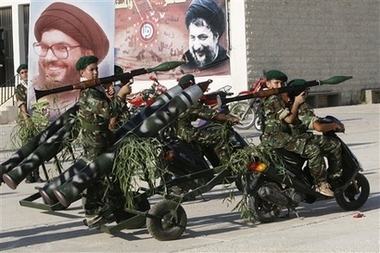 Today, Hezbollah is said to have an arsenal of more than 40,000 rockets. If war breaks out with Israel, Hezbollah will be able to launch between 500 and 600 rockets every day at the Jewish State.